THE Royal Navy will play their final warm-up match before the Defence World Cup on Friday night when they take on Blackheath’s second team in London (7.30pm). Plymouth Albion players Jarrad Hayler and Seti Raumakita are in the Navy’s squad, as are former development players Kyle Mason and Matt Tichias. The Navy open their Defence World Cup campaign on Thursday, October 8 when they play Fiji’s Combined Services at Portsmouth. Meanwhile, HMS Somerset have just returned back from a match against a Belfast Harlequins XV at Deramore Park. vThey took a squad of 23 players to Northern Ireland’s capital where they won the fixture, played in four quarters, 22-5. Luke Jones, fresh from a successful RNRU Under-23 trial, gave Somerset a 3-0 lead in the first quarter with a penalty. With fly-half SLt George Wheatley pulling the strings, Somerset increased their advantage to 8-0 at half-time thanks to a try by LAET Steffan Phillips while Quins had a man in the sin-bin. Jones could have given the visitors a larger advantage had he had his kicking boots on. Quins, who had borrowed Somerset forwards ET (CIS) Chris Swanson and AB (CS) Adam Muller-Bosworth, hit back in the third quarter with a drive try, but the visitors turned on the style in the last 20 minutes, scoring two converted tries. However, their strong finish came after Phillips had made a try-saving tackle. Phillips then played a major role in Somerset’s second try, which was scored by Wheatly, who converted his own effort. Their final score came from debutant SLt Benjamin Jones following a line-out move, with Wheatly converting. 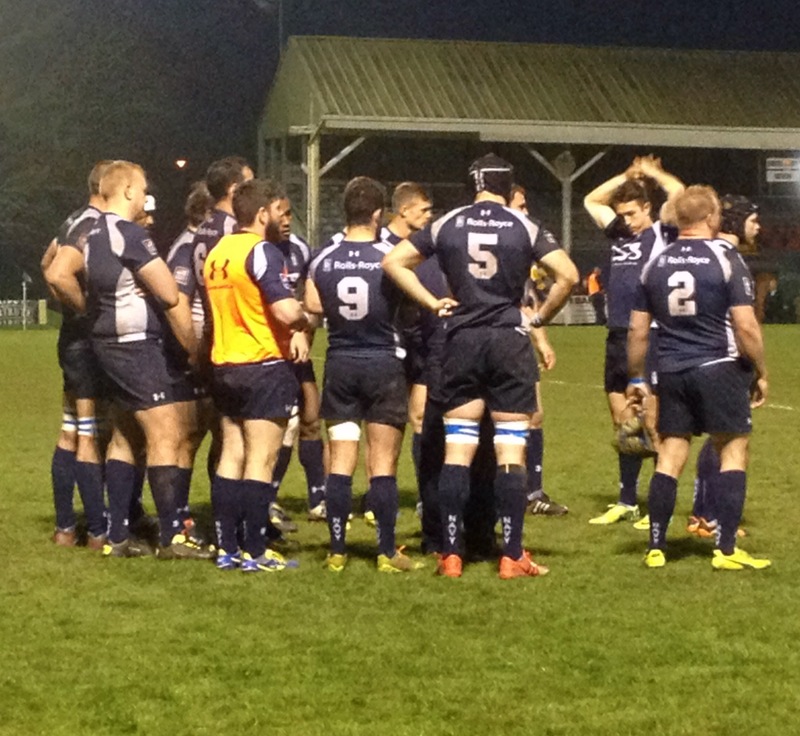 You can follow Plymouth-related navy rugby on Twitter via @samsims2410 or @RNRugby.